An Iranian welcome, for us, tops the list. For 40 days and 40 nights they call us out and soak us up. It is consistent, from top to bottom and side to side. It’s hard to grasp. In fact, it intoxicates! Just as well, as a not a drop of alcohol passes our lips. For 40 days and 40 nights! On the road, they honk and hail us. The shortest of walks marks 5 heartfelt conversations. Young girls and boys creep up, shyly, to practise their English. Parents in tow, nod their thanks! A question to a Farsi-only speaker has an English speaker at our side within minutes! A query about a restaurant has the young man coming in with us to help us order food! The camera shop owner who can’t assist accompanies us to his 3 competitors. 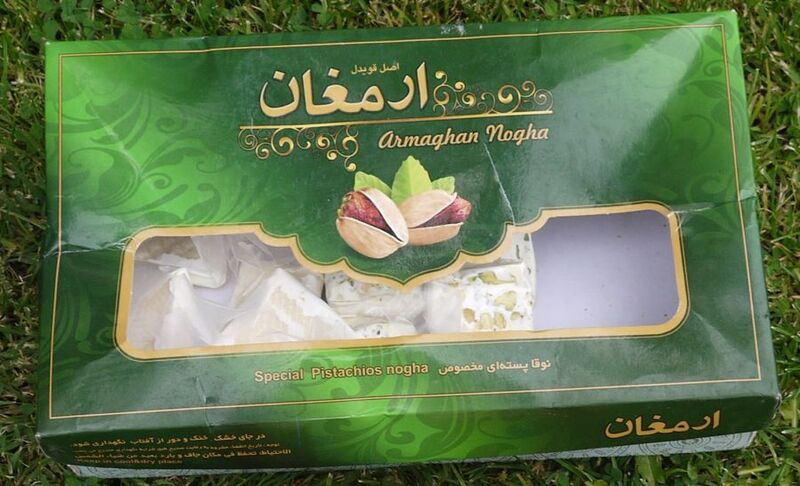 A stranger screams off the freeway to gift a 3kg box of nougat. The tea, the extra apricots … the countless invitations to supper …. It leaves us weak at the knees. THANK Allah for IRAN. But there is something else …. And at last we finger it. It is CuRiOsItY! Their CuRiOsItY is InSaTiAbLe! They cram our encounters with questions! Why are we white? Are we married? Do we have children? What about a marriage contract? Do we drink beer and wine? What do our bikes cost? What do we do for a living? Do we have a house? What do we think of Israel, America, and of course Iran? Iran, Iran, Iran. They boast and apologise. They spill pride and insecurity. Their CuRiOsItY knocks us for a six! Iran is supposed to be a Closed Society. But Iranians have wide Open Minds! Iran has this liberating national streak. And a fanciful national charm. This is an out-of-this-world attribute! Iranians are curious about the curious. They query, pry and probe about the odd, the strange and faraway. They collectively live, each day, curiously. Salute. SaLuTe. SALUTE. Is it possible for us to greet more graciously and live more curiously? As Iranians do? We are going to give it a damn good shot! 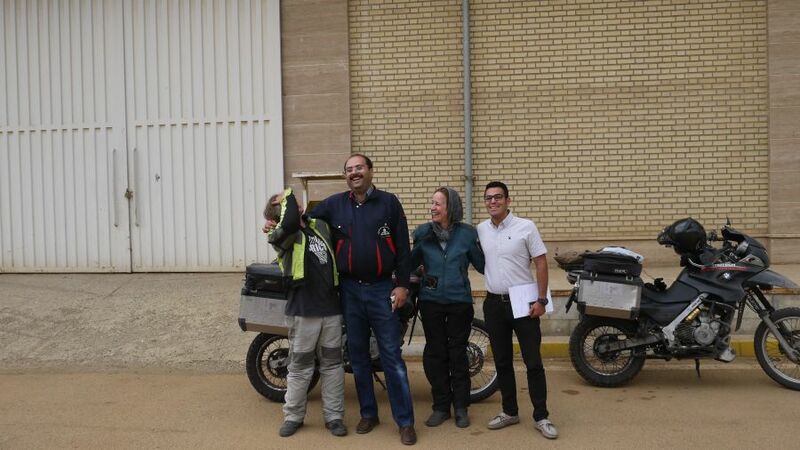 And as our road in Iran runs out, we feel a little sad. No country will ever be the same. Thank YOU so much, IRAN. 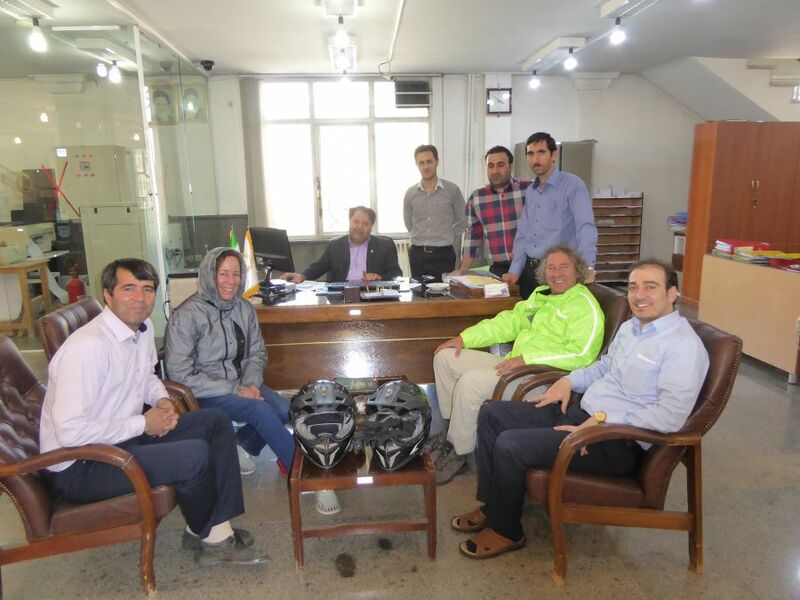 In Kaleybar, we are invited in for tea by the bank manager and his staff. In Astara, we ask a cellphone question and english speaker Navid is called especially to help us. We spent a great 2 hours together. In Masuleh, we befriend Maryam and Yasaman. 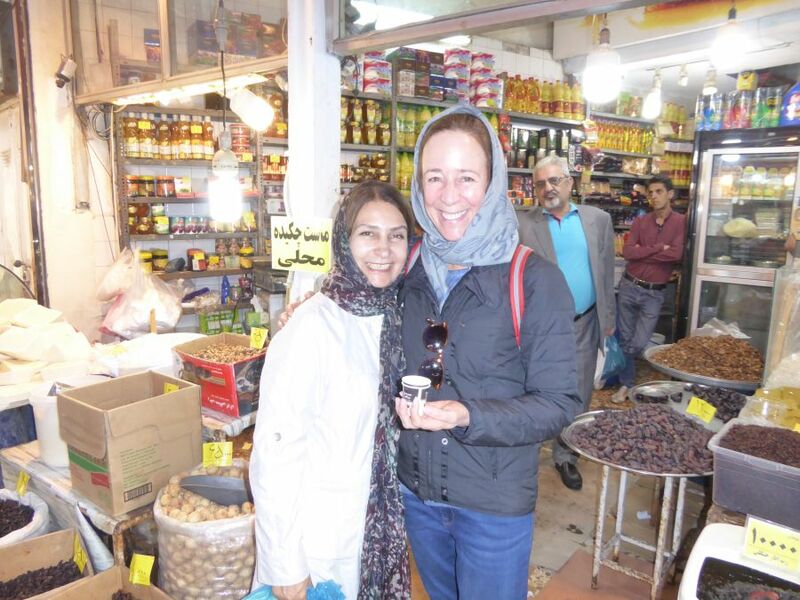 In Rasht, I get enthusiastically taken around all sorts of Iranian spices by Shirin. 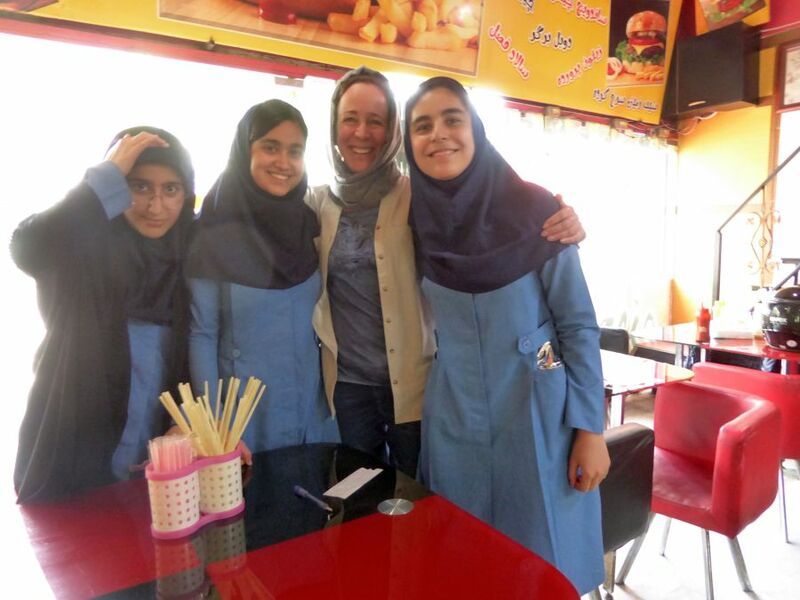 In Lahijan, we have great fun with questions from these lovely schoolgirls in a fastfood joint. 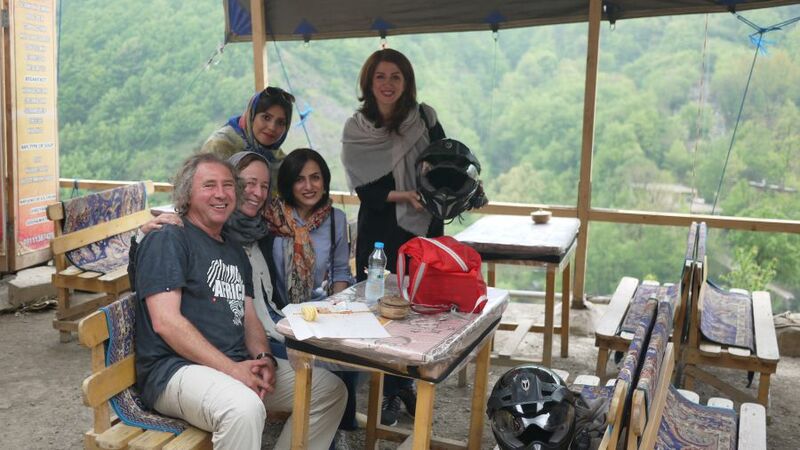 In Tehran, we spend hours with dear Ramona. Somewhere between towns a stranger stops to give us these. In Naein, with Aziz, we share life philosophies. 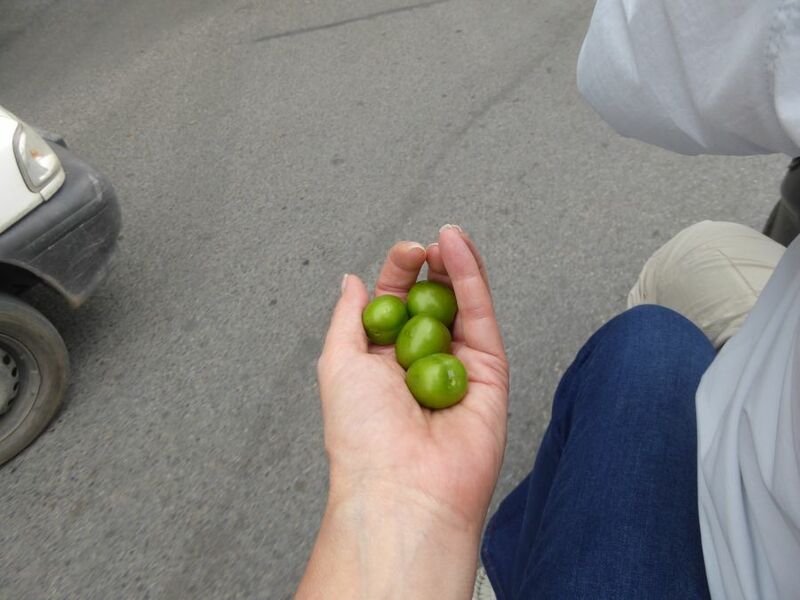 In Yazd, a little boy reaches out of his car to give me these while on the back of the motorbike with Harry. 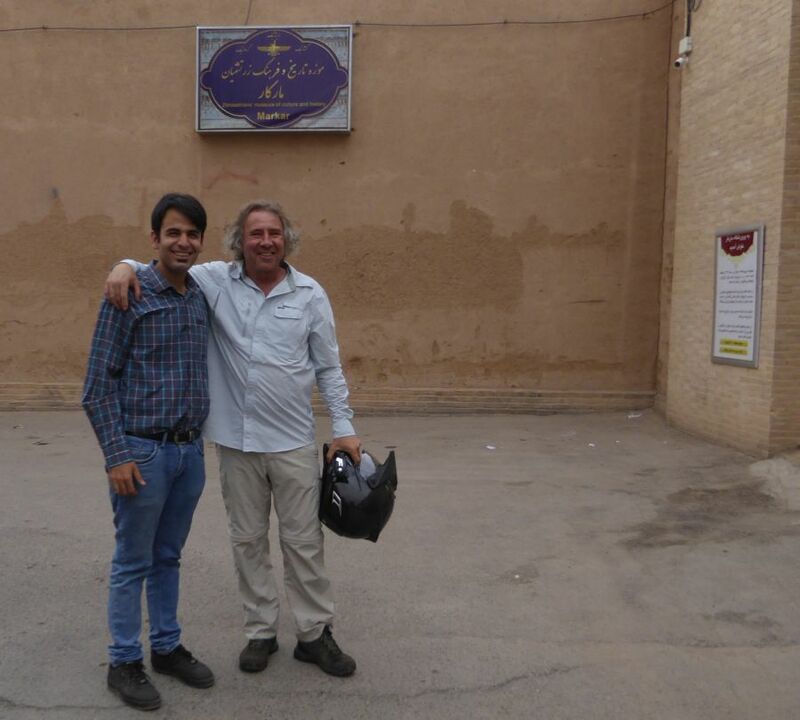 In Yazd, a history fundi shares so much. 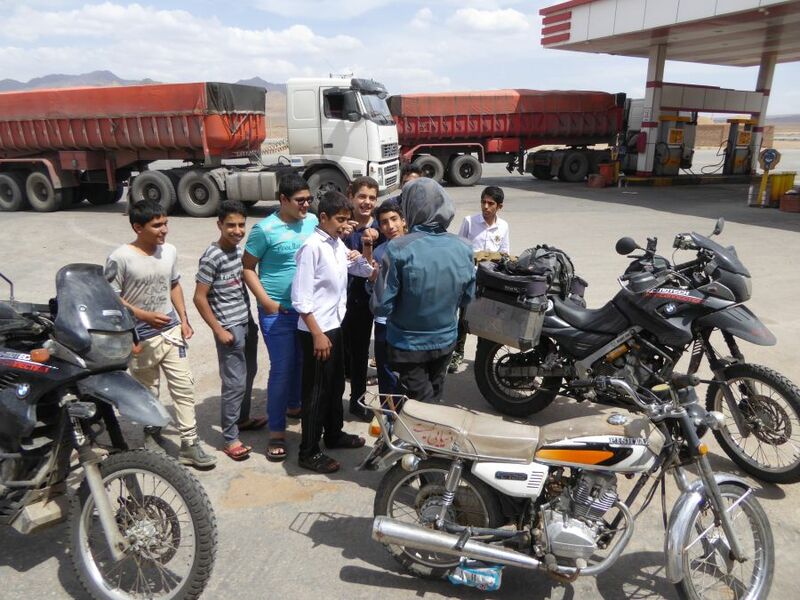 On the way to the oasis village of Garmeh, we have a fantastic encounter with school boys. 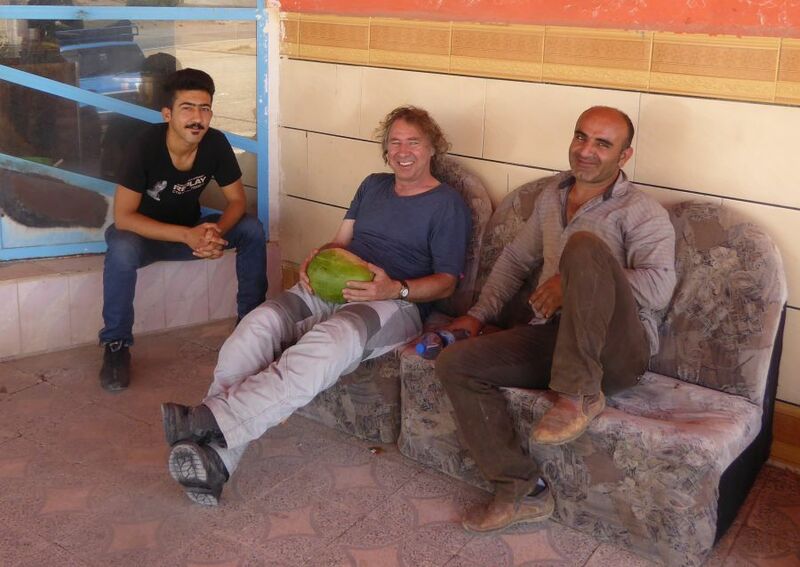 Near Shushtar, Harry gets a watermelon from this farmer. 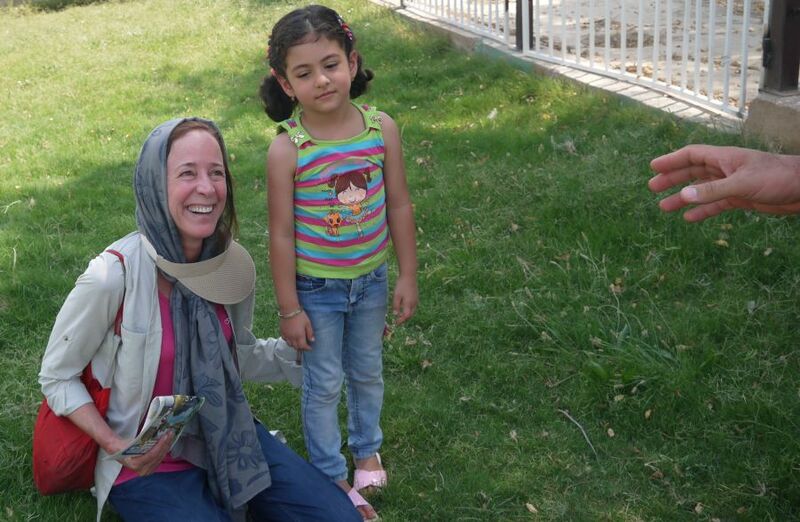 In Shushtar, at a park, we are joined by this little girl and her father. 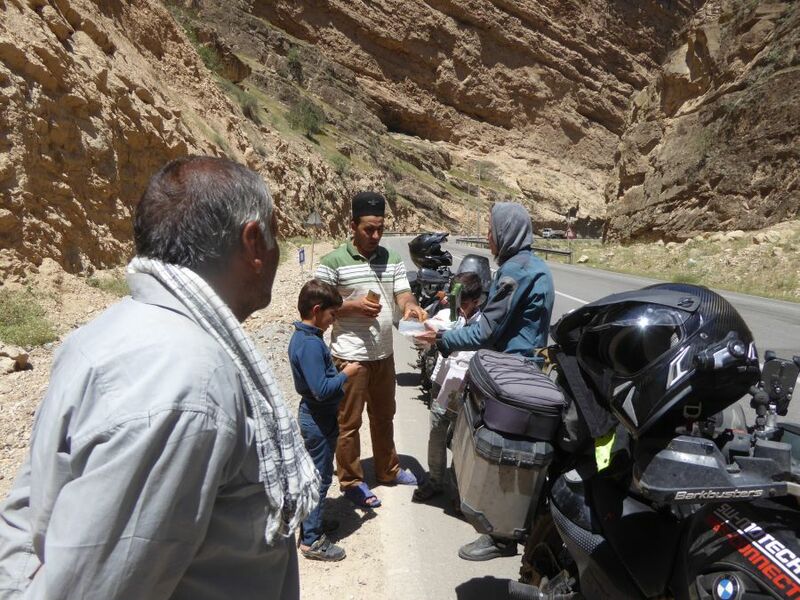 We stop for a break while crossing the Zagros Mountains, and are joined by this young family. 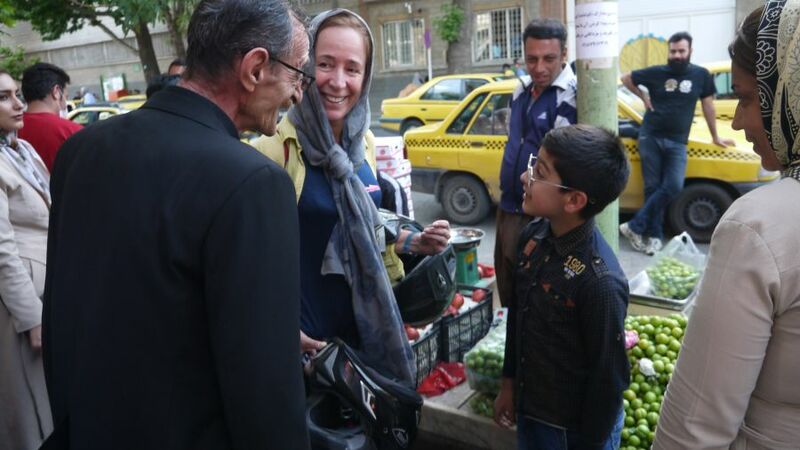 In Sanandaj, this young Kurd speaks perfect English. His favourite food is pizza. 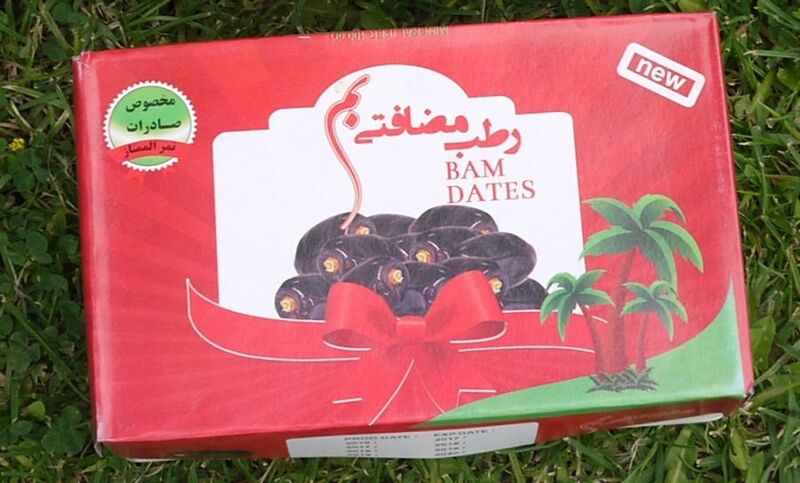 In the little Kurdish village of Nolan, we are gifted these super soft dates. 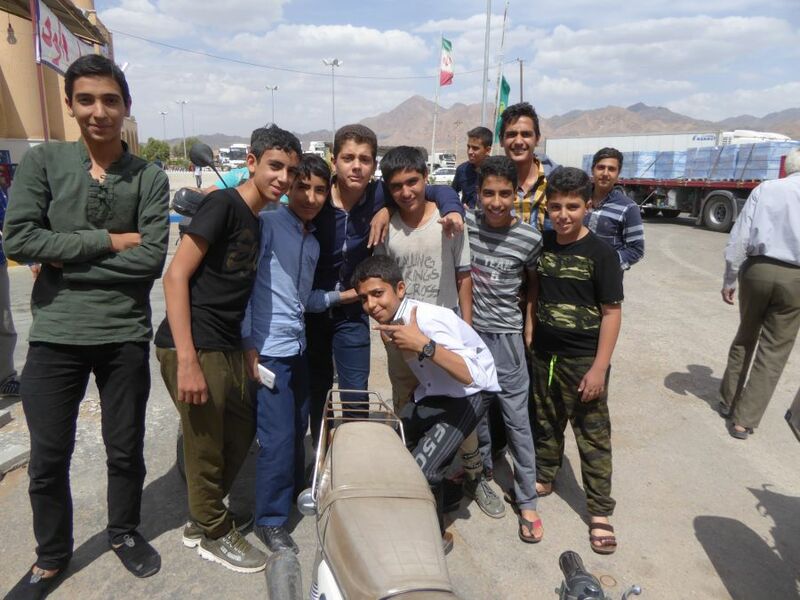 In Sero, at the border post to Turkey, one last GIANT IRANIAN farewell. Thank you so much and for giving such a positive, realistic and pleasing view on a great country with history going back a few thousand years. So much for fake and slanted news broadcasts. Thanks for sharing this amazing world! 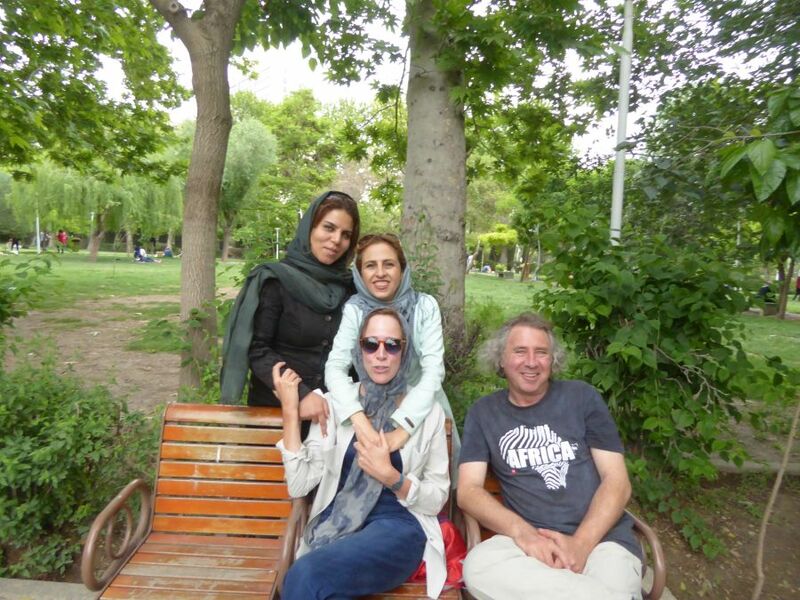 Beautiful lInDa and Harry, “merci” and “befarme”, Persia could be such a wonderful and modern country…. I hope to discuss it with you when we meet in PE. We all hope to see you soon ! Hopefully you will visit Maro first ! What a vibrant colourful journey! And all the smiles on the faces supports what you say – real friendly people. And once again, this brings back so many good memories from the time I spent in Amman (Jordan). What a fantastic encounter with these special people, we now view them differently ,thanks to your post. Defintly an experience of a life time. Wow! 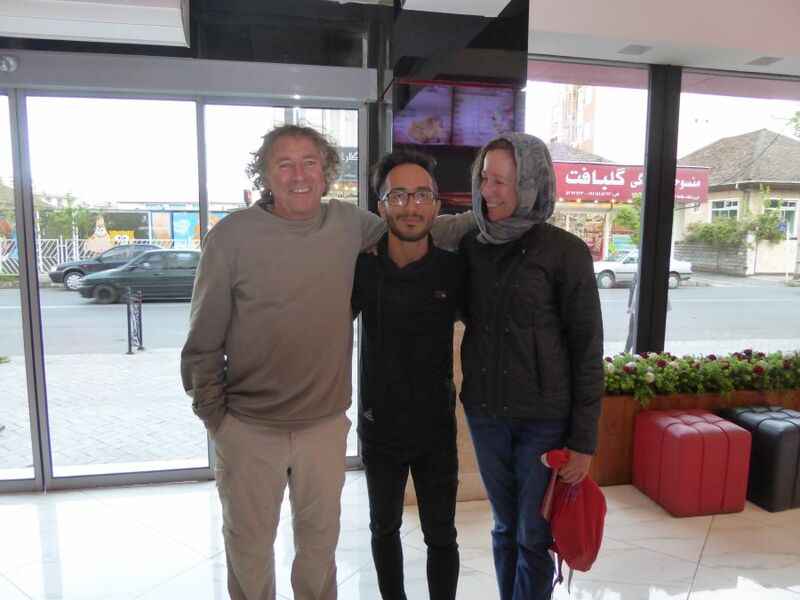 Linda and Harry are treated like celebrities thanks to the CuRiOsItY of the Iranian folk.. What hospitable people Another great post Keep safe. All the best Colin from Durban. Thankyou so much for sharing you story, it is a eye opener for me. A very different Iran that we read about in the media. 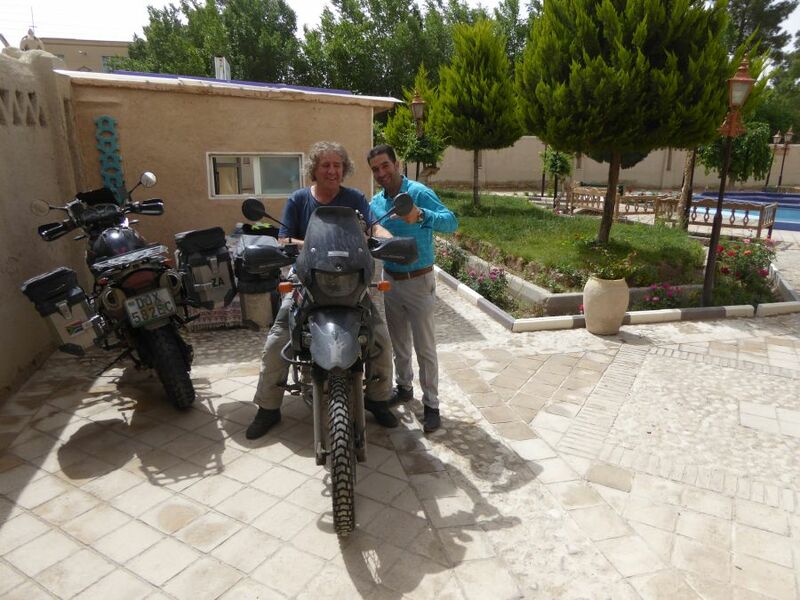 Seems you fairly whizzed through Iran or is that just the way it looks on the photo’s. Looks nice a green there, a welcome respite from the desert!